Personal Auto – Posey Logistics Inc.
We are a nationwide car hauling company specializing in shipping autos and motorcycles across the U.S. and Canada. We provide dependable auto shipping for individuals, military personnel, athletes and snowbirds. We can provide both open and enclosed cross-country transport for any auto moving need. It’s a level of dependability and repeat customers that’s built on results. •Dependable, door-to-door service for any type of vehicle. 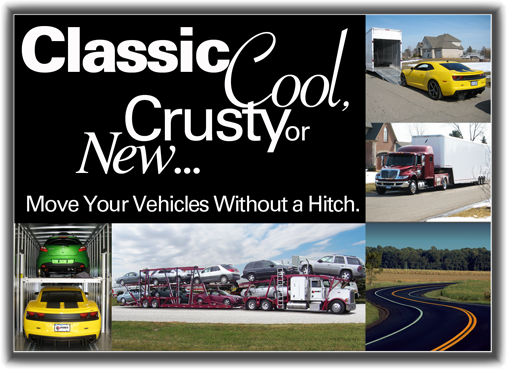 •Classic, vintage and exotic auto transport. •Trusted transportation of over-sized vehicles or motorcycles. •A professional staff trained in shipping logistics to give you accurate quotes and delivery times. •Consistent communication on the progress of your valued shipment. On Budget, On Time, Every Time With Posey Logistics Inc.